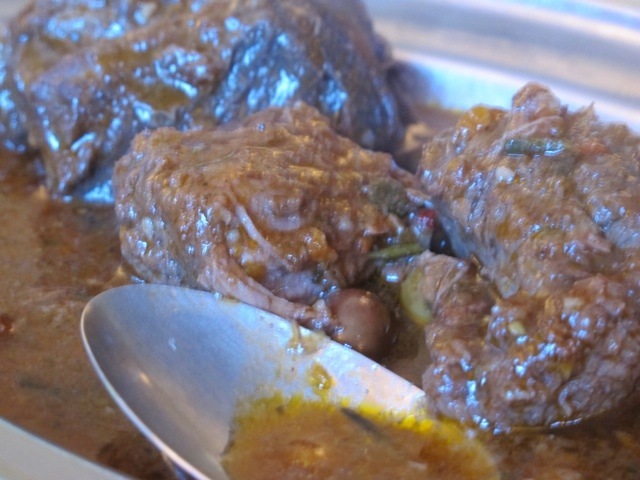 It has become fashionable to serve Cucina Povera, which roughly translates as “peasant food”. In tough times people had to do the best they could with humble ingredients (Italians are very good at this)…some they grew themselves and some they foraged for in the forests. 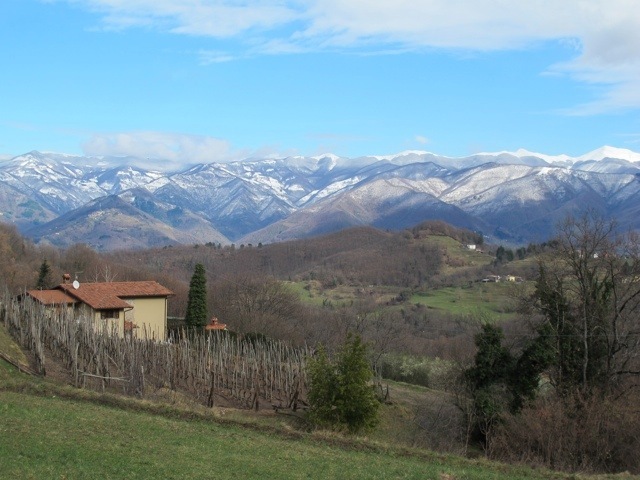 The Garfagnana area has seen some lean years in the past and the people here were very resourceful in their food preparation. 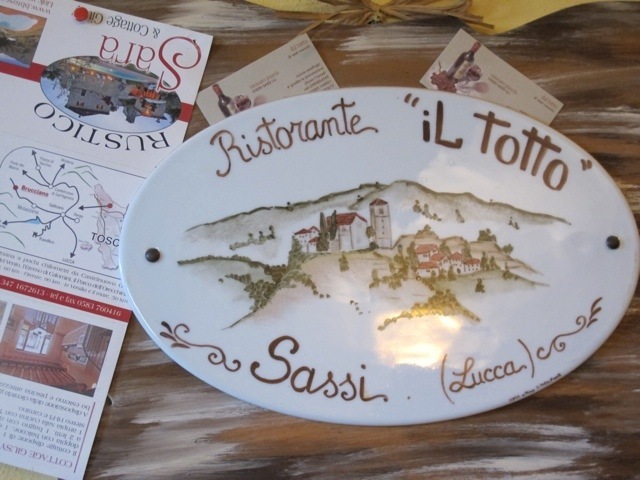 On the weekend I went to the small, and very pretty village of Sassi, near Molazzana, in the mountains above the Serchio Valley to a restaurant called Il Totto, which specialises in the cucina povera of the area. The dining room was very cosy on a cold, winter day. We were early, but there were a couple of diners already enthusiastically tucking in to the local delights. We began with antipasti…onions, farro, bean salad, salumi and the delicious, crisp thin bread often served in the area. My co-eaters were at Il Totto especially for the chestnut polenta, and a platter soon arrived. 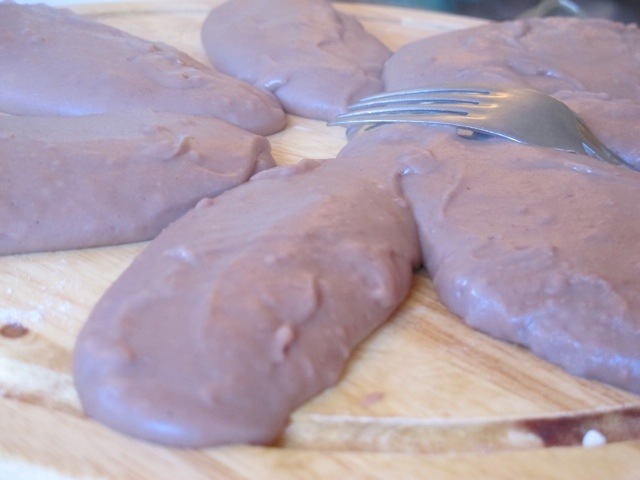 Along with the chestnut polenta came “ossi salati”, which literally translates as salted bones. 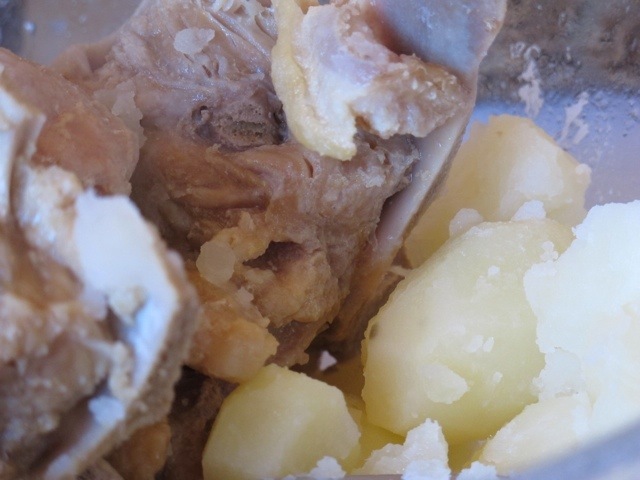 Once most of the meat has been removed, pork bones are soaked in brine for several days before being boiled. It would have to be one of the least photogenic meals I have seen, but I can assure you, it was delicious. I was not, however, delighted with the chestnut polenta. My 2 friends went on to eat nearly 3 platters of it. I have decided it is an acquired taste, one I can happily spend the rest of my life not acquiring. The old gentleman at the table beside us agreed with me. When he was a small child he had to eat it every day, and never wants to see it again. Instead, I was served some regular polenta with cinghiale, wild boar…and it was very good. Il Totto is a delightful restaurant. 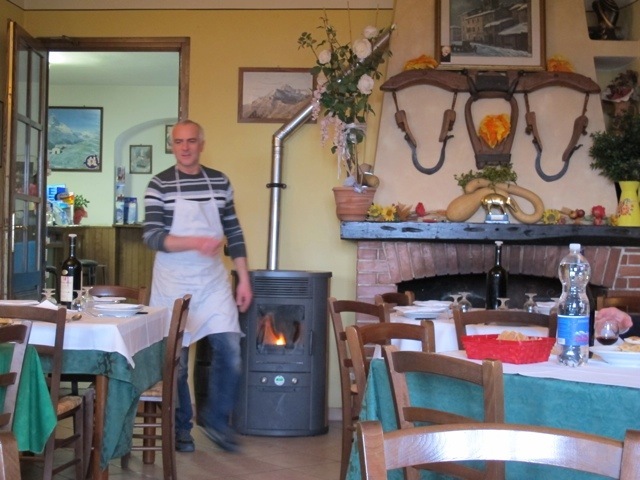 The charming owner/chef, Signore Nesti, is helped by his friendly family members. It is well worth the drive on some narrow roads to get there. 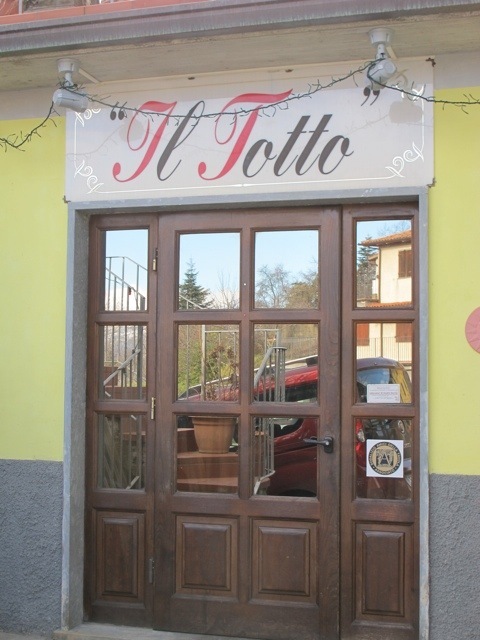 This entry was posted in Garfagnana and tagged Cucina Povera, food, Garfagnana, Il Totto, Italy, photography, restaurants, travel by Debra Kolkka. Bookmark the permalink. sounds good, Debra..will definitely try it in spring! You should go now, the snowy landscape is gorgeous up there. I am very sure this cucina povera taste very good. Italian food is the best about Italy. Italian food is delicious, and these simple meals are excellent. What a delight!! I’m sure you spared me a thought Deb…. ;-) And I knew there’d be chestnut there somewhere as well. Long live la cucina povera! I love chestnuts especially freshly roasted over an open fire, but the polenta was not for me. 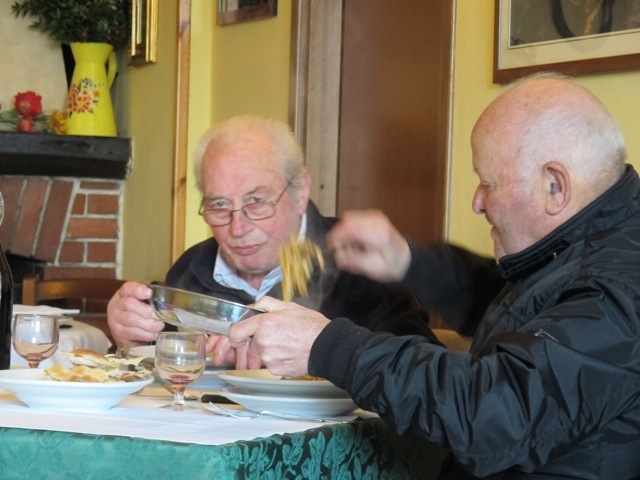 Yum, yum, yummiest….the poor man cuisine allowed people in the area to live beyond 100 years of age….the fountain of youth discovered….. I think the people who survived in these mountains years ago were very tough indeed. Cucina povera is truly nose-to-tail eating isn’t it, no waste. 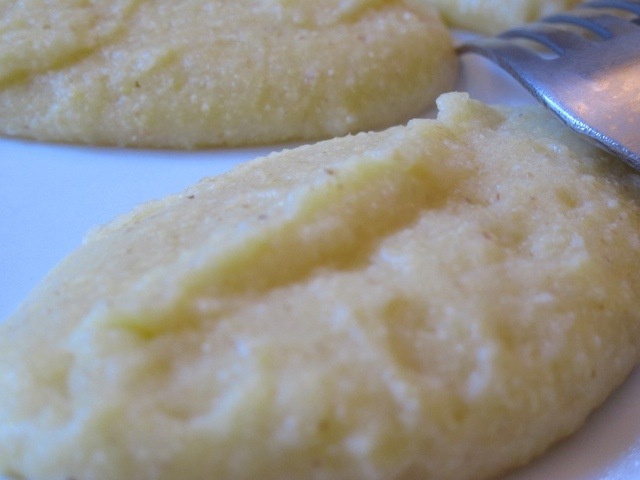 I normally will happily bog in to most food and ask questions after, bit like a dog now I come to think of it, but I must say the chestnut polenta would cause me to pause, but then I would bog in – when in Rome and all that. Sounds very interesting! Hope I’ll be brave enough to try! 🙂 I’m going to be in Lucca Prvince in April/May, I’m so excited! I’m sure you will try some excellent local food while you are here. Sono stata in questo ristorante il 25 Gennaio….. I proprietari sono una famiglia toscana veramente simpatica e gentile……i figli aiutano nel servizio. Antipasti: tante ciotoline con diverse stuzzicherie tutte fatte da loro, dalle salsine alle olive, alle aringhe e non mancavano gli affettati davvero superbi. Ne vale davvero la pena andarci……. 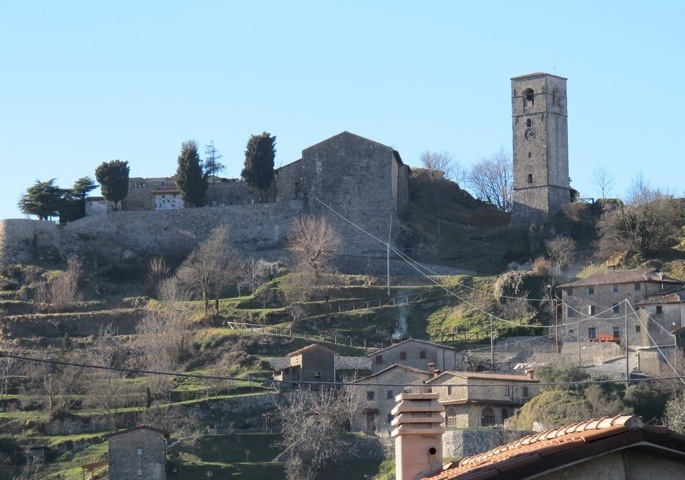 Consiglio a chiunque si trovi nella garfagnana di andare almeno una volta a mangiare al Totto……anche la vista per arrivare al ristorante è davvero incantevole. Thank you for telling me of your visit to the restaurant. It sounds wonderful.I can speak Italian reasonably well, but my writing of the language is awful.